Delightfully nerdy! 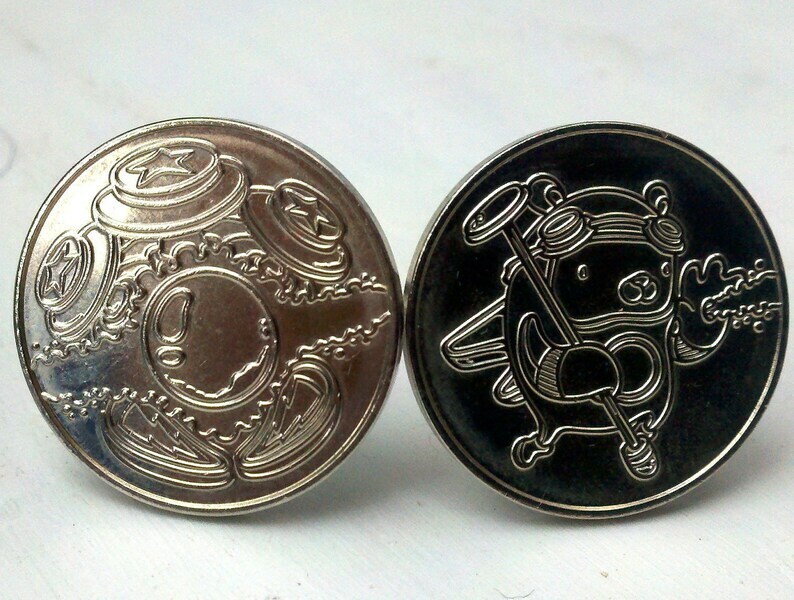 These cuff links are made from left over pinball tokens used at the Professional and Amateur Pinball Association bi-annual tournaments. Each token is chosen at random from an assortment of different token figures celebrating famous pinball games and figures, so each set is unique. This item ships free within the US with any other accessory in my shop. Also see the matching tie tack! I offer gift wrapping and expedited shipping options. Click "contact the seller" for more information and a custom listing. looks gorgeous and exactly as expected, plus arrived quickly - thank you!